GREATER FORT LAUDERDALE, Fla. (October 1, 2018) – Due to popular demand, Spatember - Greater Fort Lauderdale’s annual spa month - has been extended through the month of October. Available now through October 31, 2018, the destination’s top spas offer special packages and services for $99 (a 50 percent savings), including signature full body massages, exfoliations, facial massages, masks and eye, and lip treatments. Heavenly Spa, Westin Fort Lauderdale Beach Resort: Guests can immerse their mind and body in a luxurious and uplifting spa experience provided at Heavenly Spa by Westin. 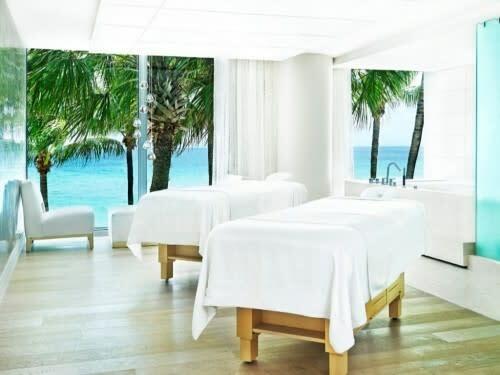 Conrad Spa, Conrad Fort Lauderdale Beach: Spa lovers can select between two signature Conrad Spa treatments, Rest (a deeply relaxing head to toe massage) and Revive (restorative massage with targeted compressions). Pure Spa, Pelican Grand Beach Resort: At Pure Spa, each treatment is delivered with a five-star level of personal care and the utmost attention to detail.The Ritz-Carlton Spa, Fort Lauderdale: Guests can gently melt away their stress and unwind in The Ritz-Carlton Spa’s luxurious relaxation lounge and treatment rooms. Spa Q, Hilton Fort Lauderdale Beach Resort: Spa Q offers both indoor and outdoor treatments so guests can choose the treatment that is right for them and customize their spa experience. Spa 66, Pier Sixty-Six Hotel & Marina: The Spa 66 is a soothing sanctuary of wellness and healing featuring massages, body treatments, skin care, and a beauty salon inspired by indigenous cultures and natural elements. Spa Atlantic, Atlantic Hotel & Spa: The ocean therapeutics-inspired sanctuary blends traditional rituals with a holistic approach and shares the hotel’s commitment to deliver the best experience to its guests. The Spa, Fort Lauderdale Marriott Harbor Beach Resort & Spa: Guests can embark upon their journey to wellness, and experience the indigenous therapies, mind-body wellness activities, and a renewed sense of oneness with nature the spa provides. The Red Door Salon & Spa, The Galleria at Fort Lauderdale: A leading beauty spa in the country, The Red Door Spa offers a wide assortment of spa treatments. Nourish your body with expert spa services. St. Somewhere Spa, Margaritaville Hollywood Beach Resort: Inspired by the serene tropical attitude of South Florida, the oceanfront retreat invites guests to unwind and be rejuvenated. The Diplomat Spa + Wellness, The Diplomat Beach Resort: Overlooking the Atlantic Ocean, the Diplomat Spa is designed to help guests feel their best in pure paradise. SiSpa, Fort Lauderdale Marriott Pompano Beach Resort & Spa: The boutique-style spa offers guests signature therapies, massages, facials, nail therapies, body treatments, exquisite retail offerings, and fitness classes. aLaya Spa, Bonaventure Resort & Spa: Walk into aLaya Spa and into the blissful sanctuary of the lovely Zen Garden and allow the sense of calm and serenity to surround you. Catering to both the body and soul, each treatment is designed to heal, sooth and rejuvenate your entire being. Additional tax and gratuity may be applied to the original treatment cost. For more information or to book a service, visit sunny.org/SPAmonth. For more information, contact the Greater Fort Lauderdale Convention & Visitors Bureau at (800) 22-SUNNY or visit sunny.org. Get social and engage with Greater Fort Lauderdale on social media channels including Facebook, Twitter, Instagram, and Pinterest: @visitlauderdale.